On Sunday, February 21st at about 5:30PM, 17-year-old Francisco Torres and Samir Perez, both of Avenida Langosta, Caye Caulker Village, left their house and went to Sip N Dip Beach Bar to socialize and they both have not been seen and heard from since. The clothing that they were last seen wearing and their description is unknown at this time. Patrols were conducted within Caye Caulker Village to try and locate the missing persons but were fruitless. Police investigations continue. Anyone with information please contact 206-2022 or call anonymously to Crime Stoppers at 0-800-922-8477. 58-year-old Dorothea Pineda, business owner of DFC area San Pedro Town reported that on Tuesday, January 19th at about 6PM she was at her business place located on Coconut Drive, when she asked her employee about ‘the shrimp delivery’, as she saw a note pad with a total of $380 and $280 being paid, leaving a balance of $100 for shrimps she had ordered. Her employee then told her that she thought that she had already received the order and that a male person of Creole descent by the name of Brian Neal came and asked her if she wants to order shrimp from him. He then asked her for $380, but she only gave him $280. Her employee said she had gotten orders from Pineda via the male person’s cell phone. Pineda denied giving such information. 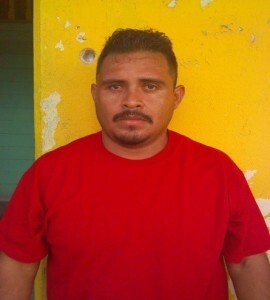 On Monday, February 22nd at about 7PM, while Pineda was at her business place along with the employee, she was shown a picture of a male person detained at the Orange Walk Police station, who her employee identified as the same male person to whom she gave the $280 for the shrimp. Orange Walk Police confirmed that they had 19-year-old Brian Neal of Kings Park Belize City in custody for the crime of “Obtaining Property by Deception”. They were informed that Brian Neal is also wanted by San Pedro Police for the same crime. A Transport Officer attached to the San Pedro Traffic Department visited the San Pedro Police Station and reported that on the Thursday, February 18th at about 3:57PM, he was at work at the San Pedro Transport Office, when 24-year-old Lester Enrique Orantes entered the transport office and handed over a laminated driver’s license to him for renewal. He then did a complete inspection of the license issued in Orange Walk and found out that the documents were false. 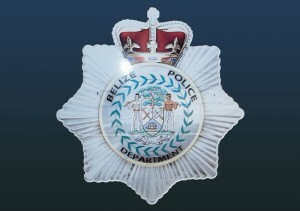 The false Belize Driver’s license permit number OW-1875 was retrieved and kept as exhibit. Police have since arrested and charged Lester for the crime of “Possession of A Forged Document”. Police are now investigations as to the origins of the false document. The San Pedro Police Department is asking for assistance in the capture of 30-year-old Alex Hernandez, Tour Guide and Bartender from the Orange Walk District. He is of Mestizo decent, 5 feet 6 inches in height, medium built, round face and light brown skin. He is wanted for crime of obtaining property by deception. If he is seen, kindly informed the nearest police station or Orange Walk Police at phone number 322-2022 or 302-2080.